September is here! Can you hear those bells ringing? Those are school bells! You don't like school? 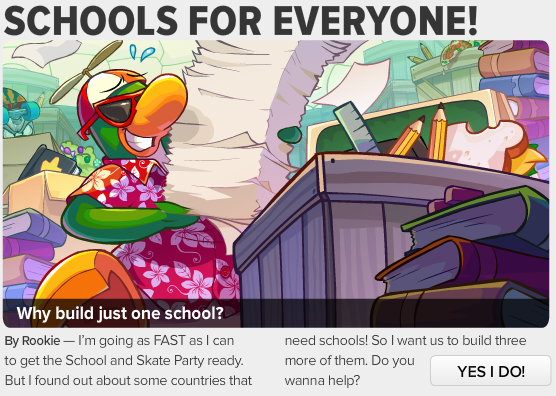 Well, Club Penguin is here to make school enjoyable on the Club Penguin island. Want to read more of what Rookie has to say? Of course you don't! Just read it anyways. 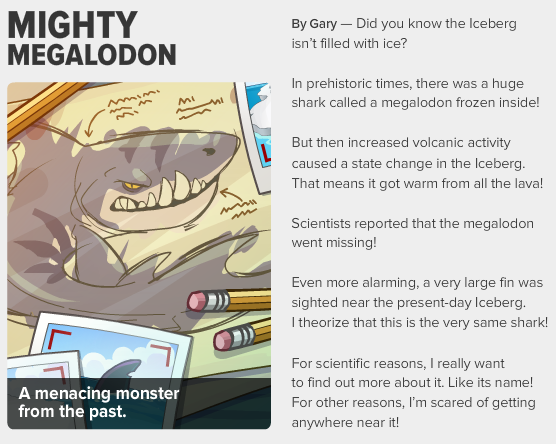 I wonder why Gary is talking about this creature. Last time I saw this creature was at the last Prehistoric Party on Club Penguin. At last, we've come to the end of the newspaper and we get to see the upcoming events. 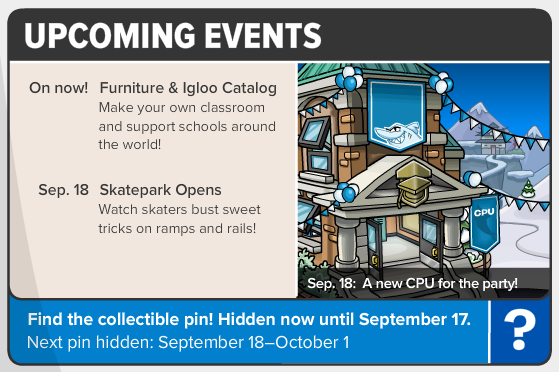 Furniture and Igloo catalog is out now (I've posted the hidden items for that catalog). Skatepark opens on September 18!